The PKI 5130 offers clearer images and greater distances of video observation to every government department or industries. The built-in 1/3” SHARP image sensor provides pinsharp pictures at a very high resolution. Even under no light conditions this camera works perfectly because of the integrated IRIllumination. Both, the camera and the IRIllumination, are placed in a waterproof housing for outdoor use under every weather-condition. 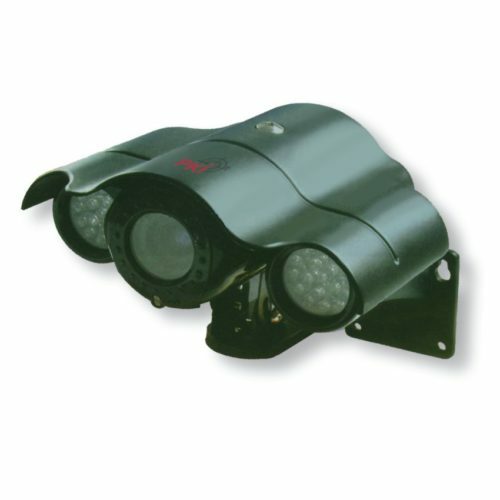 The invisible IR-light illuminates the surrounding up to 50 m distance. Depending on buyer’s option the PKI 5130 is available either in PAL or NTSC version.